Oslo is the music-mad capital of a music-mad nation. The capital is not a big city, but it has numerous venues and many music festivals of different genres, and one out of five Norwegians attend to one of them every year! Many people play music, and there are lots of bands, especially within the darker metal and indie rock genres. ArenaCast episode 106 is brilliant, and just like it made Fritz wanna go out for some drinks, it did the same for us! Lots of cool tracks here! We find Crow Black Chicken's song Murmuration, Singleton with Get Out Of My Mind, and also Harvey and the moon - The Same Air, interesting! 4. Is there a story behind your song "The Side"? The Side was written for an ex whose mind got a bit... inside out. Working on another EP we want to release this year, rehearsing for more live work. 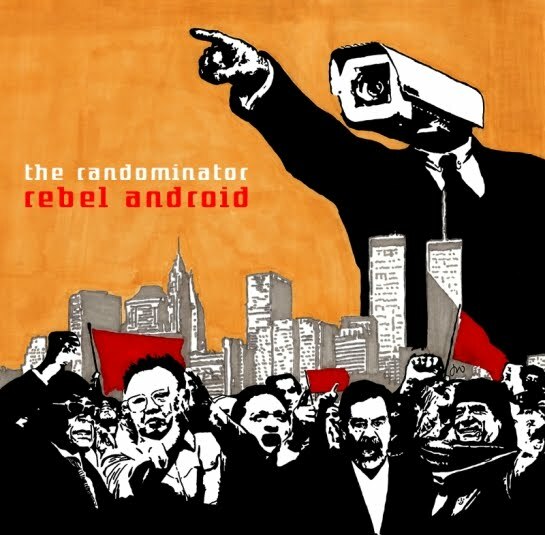 Play some more Rebel Android!! !